I hope you all had a lovely holiday weekend. 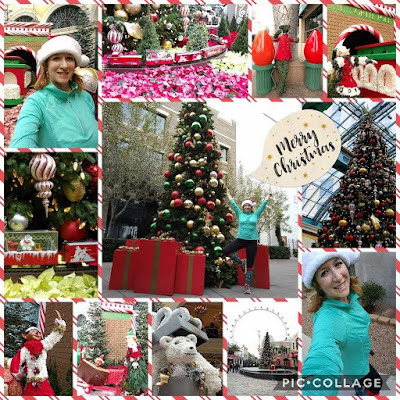 I started my Christmas morning with a 10k along the Las Vegas Strip with a stop at the Bellagio holiday display. It never disappoints. Now that the holiday is behind, it's time to get real about 2018. I've been thinking a lot about my goals for the new year and how to accomplish them. One of my goals for 2018 is to grow my blog. I've been around for quite awhile, but my 16-month hiatus from July 2015 to November 2016 really hurt. This past year I've focused on getting back into a blogging groove without having a great plan for growth. 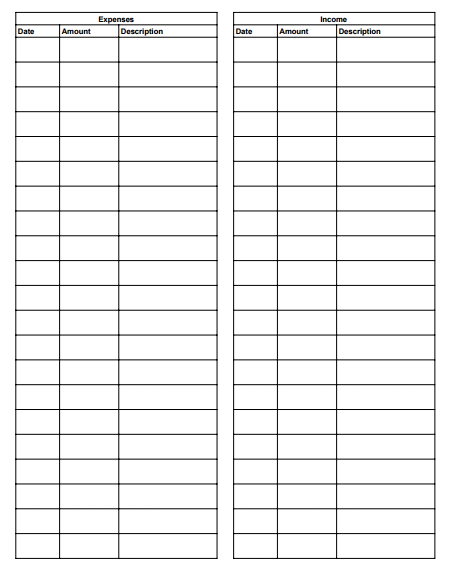 To help me focus more on consistency and growth next year, I created a printable 2018 blog planner. 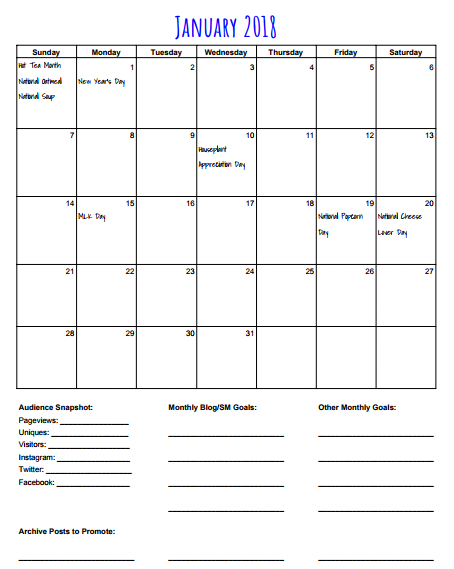 There is an overall calendar for each month with a spot to jot down some blog and social media stats, blogging goals, other goals, and some posts from the archives to spruce up and re-share. I also included some fun holidays for the month in case I need some inspiration. 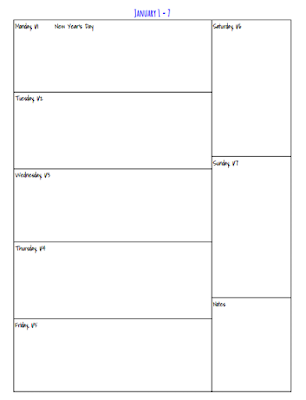 Then there are pages for each week for me to plan out more specific tasks and jot down my daily happenings. 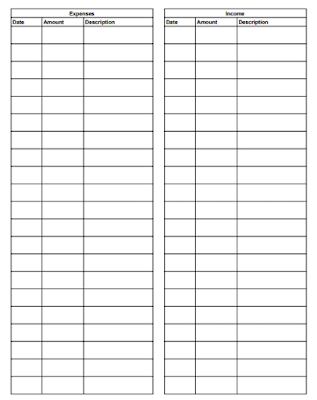 Finally, I added a page at the end for me to keep track of Expenses and Income. It's nothing really fancy, but I'm hoping that it will help keep me on track and focused throughout the year. If you think it would be helpful to you as well, shoot me an email at enjoyingthecourse@gmail.com. I can send you a PDF or send a link to the file on Google Drive for you to edit. Speaking of growing my blog, I have some ideas floating around on how to make Enjoying the Course better, but I'd also like your help! What types of posts do you enjoy? What could you do without? What would you like to see more of? I'd love it if you could take a minute to fill out the following short survey to help me make my blog even better in the new year. Thanks for reading and for taking the time to fill out my survey to help make 2018 the best year ever for Enjoying the Course! 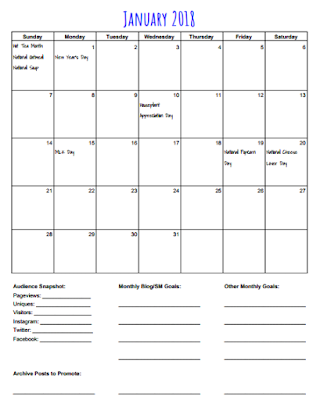 Would you like a copy of my printable blogging calendar? I bet the Bellaggio was beautiful this time of year. Lucky you. Am especially jealous of the weather. The Bellagio displays are always so beautiful! Planning, planning, 'tis the season! I've also been inconsistent in my blogging and plan to fix that in 2018. I think I would benefit from participating in more blog link-ups and loops. I actually just put a new planner to use this afternoon...planning out some blogging ideas/posts (and specific link-up dates, etc.) as well as potential races to consider (you know...to keep them on my radar). I do better with an actual a hard copy of stuff like that...I guess it makes it more official for me, and it certainly is more portable. I still need to print out my new calendar/planner! It was crazy busy at work before Christmas, and this week we moved offices, so our printers weren't hooked up. Guess I'll have to go to FedEx or something this weekend. lol I'm hoping that if I have a printed calendar, I'll stick to it more. The online one just hasn't been working for me this past year as much as I'd hoped. I'm with you on planning out more for the blog. I feel like the more planning I put in now the easier my year will be! You got this! That's what I'm hoping for! :) Thanks!! Great post! My 2018 blog goals are to grow page views and income. Really want to push myself this year! Thats a great goal for 2018! That's something I should look into for my blog as well. 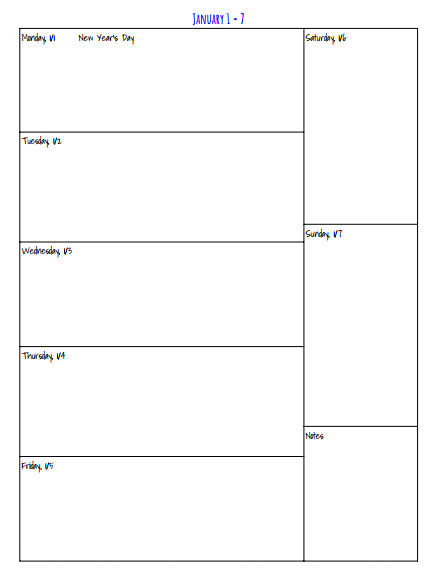 Great blog planning! I should do that too, but I never seem to follow it when I do take the time to plan it out. I bet the decorations along the strip were gorgeous this time of year, how fun! I really need to plan my blog better in 2018! I love your printouts to make it happen!! Thank you! I'm excited about it. You know what they say... those who fail to plan, plan to fail. lol Cheers to 2018! !